The city of East Grand Forks is located in northwestern Minnesota on the North Dakota border. The city lies in the Red River valley, home to some of the most fertile agricultural soil in the world. The area is home to farms growing soybeans, sugar beets, wheat and potatoes. American Crystal Sugar, the largest beet sugar producer in the United States, is a large industrial user of electricity. Because of the timing of sugar production, East Grand Forks is a winter peaking utility, unlike most other MMPA members. 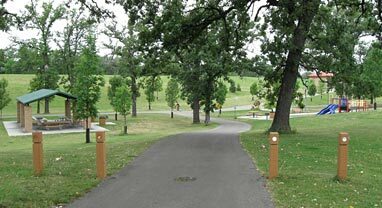 MMPA welcomed East Grand Forks as a member on November 1, 2004. The City of East Grand Forks Water and Light Department invites residential and commercial customers to participate in their energy conservation programs. For more information on rebates, click here. Clean Energy Choice is an affordable, low-cost way for residential electric customers to support renewable energy. The program offers residential customers with the option to elect to have 50%, 75%, or 100% of their electricity from renewable sources. This is in addition to the 17% renewable energy that is provided to all MMPA customers, as required by Minnesota law. The renewable energy for the Clean Energy Choice program comes from the Minnesota Municipal Power Agency’s renewable resources and renewable purchases from other utilities. For more information on MMPA’s renewable energy resources, click here. To sign-up, visit the Clean Energy Choice website. Once customers are signed up, the subscription will appear as a surcharge on their electric bill in monthly increments – there is no minimum term commitment for Clean Energy Choice. Customers can choose to unsubscribe at any time.